The beautiful village of Baslow is on the edge of the Chatsworth Estate, and makes a perfect place to stay when visiting the area. The village is overlooked by the dramatic gritstone edges of Curbar Edge and Baslow Edge, and the River Derwent runs through it, crossed by a picturesque stone bridge that dates back to 1603. There has been a settlement in this location since Anglo-Saxon times. Visitors will still find a wealth of ancient buildings lining its maze-like streets, including a distinctive toll house on the stone bridge. This tiny 17th Century building was once staffed by villagers who took payment from those wanting to cross the river. The pretty church of St Anne’s dates back to the 13th Century and is well worth a visit, in its tranquil riverside setting. There are several interesting artefacts inside, including a whip once used for clearing the church of dogs, and an unusual clock commemorating the diamond jubilee of Queen Victoria in 1897. Baslow has a picturesque central village green, Goose Green, around which is clustered a range of interesting shops and a lovely tea room, as well as the village hall and park. Also worth exploring here is a quiet lane that leads off Goose Green and runs past a row of quaint thatched cottages and into the oldest part of the village. 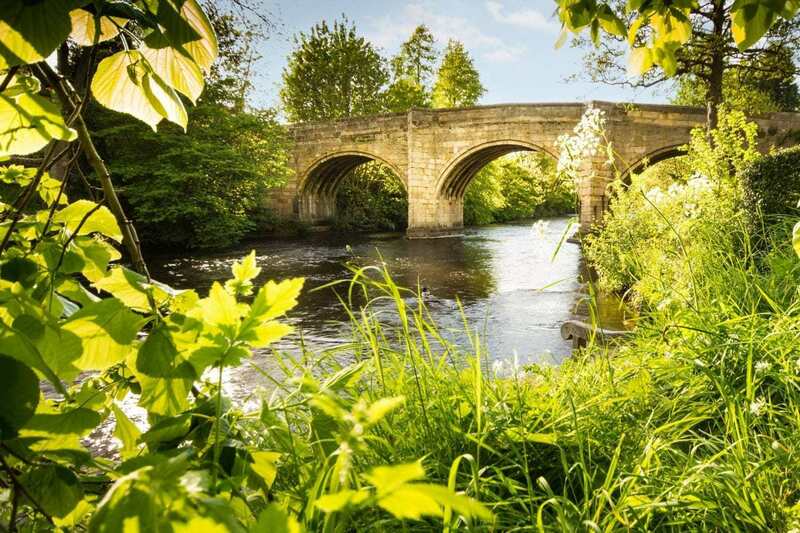 It eventually crosses a bridge over Bar Brook and into the parkland of the Chatsworth Estate. The Devonshire Arms and the Cavendish Hotel can also be found close to Goose Green, two of a number of excellent pubs in the village. Baslow also boasts a Michelin-starred restaurant, Fischer’s, which is situated in Baslow Hall, set in beautifully-landscaped grounds on the outskirts of the village. See www.fischers-baslowhall.co.uk for more information. 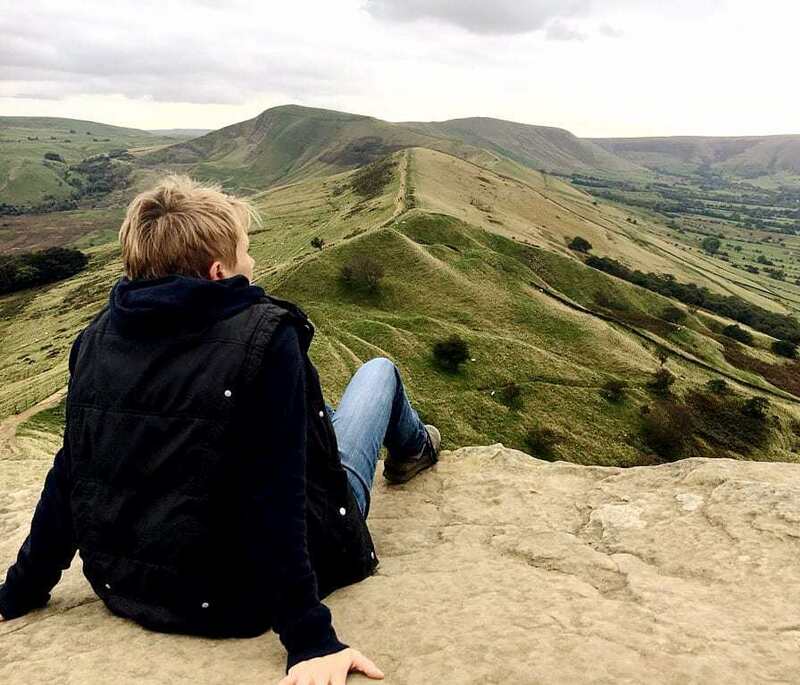 Overlooking Baslow are the magnificent gritstone edifices of Curbar Edge and Baslow Edge, running down from the high moors to the north of the village. Both offer magnificent views over the valley and down into the Chatsworth Estate. 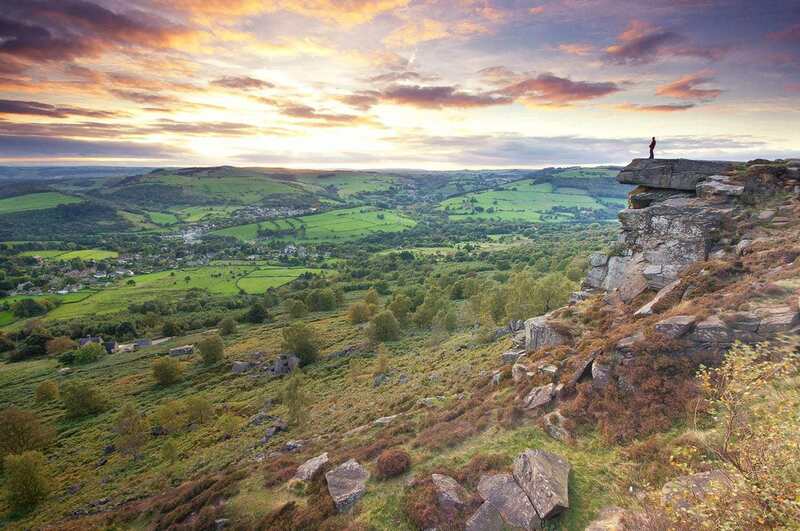 Look out for the Eagle Stone on Baslow Edge, a freestanding 6-metre high block of gritstone. Local tradition was that eligible bachelors had to climb the rock to prove themselves worthy of marriage. Close to the Eagle Stone is the Wellington Monument, erected in 1866 to commemorate a visit by the Duke of Wellington to the moor. 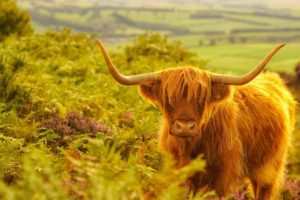 Watch out for the herds of beautiful Highland Cattle that can often be found on Baslow Edge. They are very photogenic and usually placid, but please do exercise caution when walking near to them, particularly if you have dogs or if the cows have calves. Both Curbar Edge and Baslow Edge are easily accessible from the National Trust car park at Curbar Gap (SK 26283 74814), which is located between the two edges. There are picnic benches and information boards nearby.